Record 44-38, 4th in Atlantic Division, 8th in Eastern Conference. Lost 3-0, to the Chicago Bulls in Eastern Conference’s First Play-offs Round. 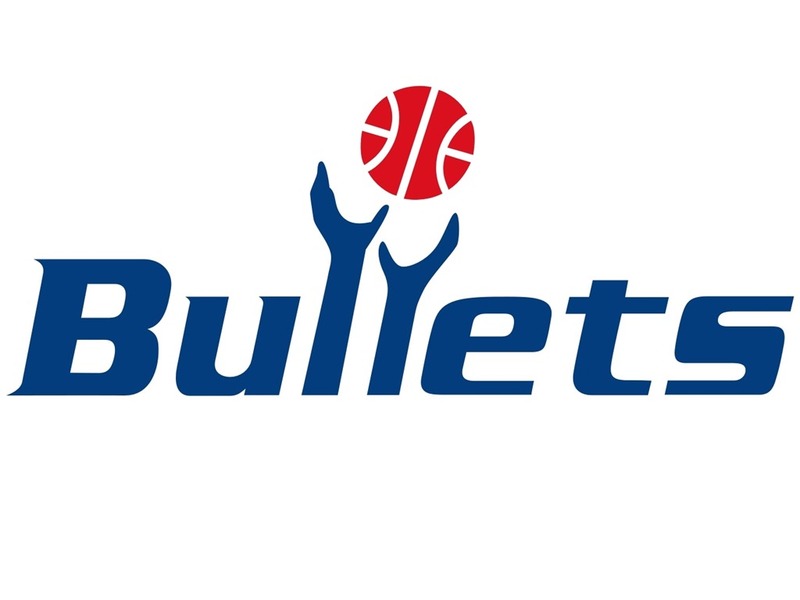 The 1996-97 NBA season was the last for the Bullets; since 1997-98 Washington’s franchise name has changed to Wizards. Washington was one of the NBA’s worst franchises during the 90s and made it only once to the NBA play-offs, in 1997. Washington had a number of disappointing seasons in the early 90s with many injuries and line-ups that were lacking true stars; Bernard King was at the dusk of his career with many injuries, I cannot count Michael Adams as a star even though he played at the 1992 All-Star game and Tom Gugliotta became an all-star in Minnesota, however, he never reached the potential that NBA experts had seen in him and he never became the franchise-saviour the Bullets hoped for. But, Gugliotta became the centre-piece of a trade that helped Washington become a force to be reckoned in the East. He was traded alongside three future first-round draft picks to the Golden State Warriors for Chris Webber, in November 1994. Earlier in that year, Bullets had chosen Webber’s college teammate and member of Michigan’s Fab-Five, Juwan Howard and created a duo of forwards that could change their fate. In the summer of 1996 Howard became a free agent and after the end of a great season for him, averaging 22.1ppg and 8.1rpg. Miami Heat offered him a huge contract and that would have made him the first NBA player to sign a contract worth more than a $100 million; $105 million for seven years. However, the NBA disallowed Howard to move to Heat as it claimed that the Heat did not have enough room in the salary cap. The case went to courts but in the end the Heat withdrew and Howard re-signed with the Bullets. In that summer, Bullets also signed center Lorenzo Williams from Dallas Mavericks and small forward Tracy Murray from Toronto Raptors. In addition, they sent Rasheed Wallace along with Mitchell Butler to Portland for point guard Rod Strickland and power forward Harvey Grant; the twin brother of the three-time NBA Champion with the Chicago Bulls, Horace Grant, whom they had sent to Portland in 1993 for Kevin Duckworth. I remember reading the 1996-97 Bullets roster at the beginning of the season – in one of the American NBA season preview magazines ( I think it was Pro-Basketball Preview) that I used to find in Greece when I was lucky enough – and thinking that this was the first time I was excited for a Bullets team. I have been following the league as closely as possible, for someone that was living in Thessaloniki, Greece, since the 1990-01 season and Washington Bullets was one of the less attractive teams. It seemed that the 1996-97 season was going to be different and I wanted to follow that Bullets team more closely. I was a Webber fan and I thought that Howard was also a great player, the addition of Strickland and the development of the league’s tallest player, the Romanian giant Gheorghe Muresan of 7.7 feet, whom I knew and had watched play in-person, when he was a part of the the French Ortez team, created at least some expectations for the upcoming season. In my eyes, back then, that team had everything a team needs to succeed; a really good, even though somehow unstable, point guard in Strickland, a great duo of forwards, even though neither of them was a small forward, a talented shooting guard with a lot of potential in Calbert Cheaney and a solid center. When I was younger, coaching, team-chemistry, bench-depth, timing and all of these details that actually make the difference and determine success were not important to me; I was judging a team merely by its stars and talent and the 1996-97 Washington Bullets were full of talent. However, with Jim Lynam as their head coach they made a usual, or a slightly better, Bullets’ beginning of the season. Eventually Lynam was sucked while the team had a record 22 wins to 24 losses. Bullets brought one of their own, to replace Lynam. Bernie Bickerstaff, an assistant coach of the championship-winning Bullets team of 1978 took the responsibility to turn around a season that was looking already as a failure. With Bickerstaff at the helm Bullets played winning basketball and finished with an over-50% record (44-38), which was their first winning record in ten years (42-40 in 1986-87). But the icing on the cake of the best Bullets’ season in the 90s was the win in what seemed like the seventh game of an NBA Finals series, which in fact was the last game of the NBA’s regular season against the Cleveland Cavaliers; the winner was qualifying for the play-offs. Bullets prevailed finally after a dramatic game and defeated the Cavaliers 85-81, to take the 8th spot in the East that led to the NBA play-offs and was sending the Bullets to play against the NBA champions Chicago Bulls. The first round of the play-offs was where the Bullets’ journey ended. They resisted as much they could against a great Bulls team that went all the way and won a back-to-back title. The best of five series lasted only three games, Bulls won 3-0, but their wins where not as easy as the outcome of the series may lead you to think. Except from the first game the other two were close games and especially the last one was decided at the last minute. Chris Webber was the best player of that team that had its own big-three in Strickland-Howard-Webber, but his productivity declined during the play-offs and did not help Bullets as much as they needed him to win their first play-off game during the 90s. Webber also represented the Bullets in that season’s all-star game, as a replacement for the injured Patrick Ewing. This was the best team that the Washington franchise had in the 90s. A team that looked really promising, with lots of talent, a duo of young star-forwards, one of the most talented and unpredictable point guards the game has ever seen and the player with the league’s highest FG% in the 1996-97 season in Muresan. Unfortunately they were not good enough to match the Bulls. I suppose if they had a better record in the regular season, Orlando Magic got the 7th spot with a slightly better record (45-37), they could have played against Miami Heat and maybe recorded a win. I would not say that they could have beaten that Miami team but they could have had better chances to at least win a game. In 1997-98 they did not qualify for the play-offs and in 1998-99 Webber got traded to Sacramento for Mitch Richmond. pos. Name ppg. rpg. apg. spg. bpg.